Love, Lenore: spring trend report. As a blogger, I'm always on the lookout for the best new trends to try and of course creative ways to style them. Since it's now officially spring (despite getting smacked with another snow storm), I'm welcoming warmer weather, sunshine and cheerier colors with open arms! These are my favorite trends this spring, which I can't wait to incorporate into my own wardrobe and styling. Hope you enjoy! This trend first emerged on the runways, and I hope it's here to stay for awhile. Floral prints are always in season when real flowers start blooming, but I love this year's bolder, bigger take on florals. There are of course all sorts of prints ranging from classic to modern, but the key to this year's take is to style your prints in vibrant colors or even to mix two prints together. You've probably noticed already, but lipstick has made a huge comeback over the past year. A bright lip is such a fun and stylish way to mix up your beauty routine in addition to adding that extra touch of glam to so many spring and summer looks! Based on your skin tone and hair color, try colors ranging from classic red, coral, berry, bright pink, and even orange. As you know, I tend to gravitate toward neutrals and pastels in my clothing purchases. 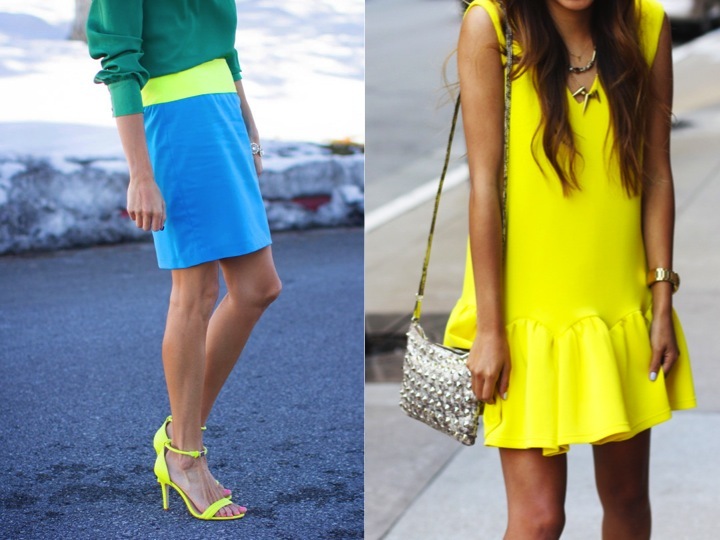 However, this season I've really started loving neon hues! I love that neon has been made chic, which inspires so many styling ideas. If neon seems a little scary, try little pops of color through your nails or even a clutch. Those of you who know me well also know that I tend to like more simplistic jewelry. 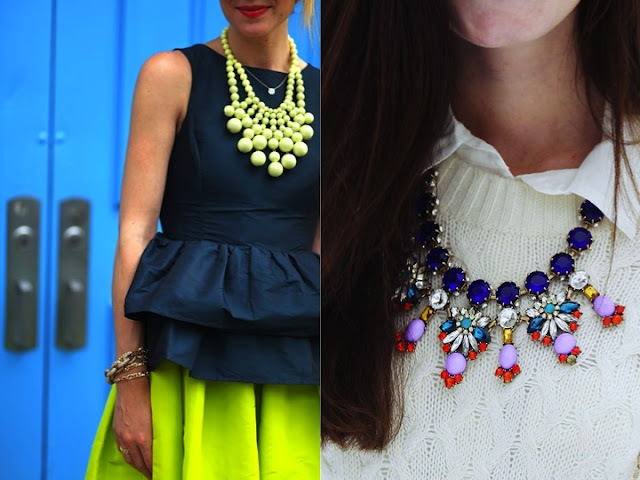 However, statement jewelry has stolen my heart! In addition to necklaces, I absolutely love a great statement earring. And last but not least - stripes! Somehow, stripes pull off being a classic look and a trendy look at the same time (but I don't think any one of us will complain about that). The common perception is that horizontal stripes will make you appear wider but I definitely beg to differ. There are so many different variaties of prints, and so many different ways to style them, that I think the key is to find pieces you're comfortable with. Thanks for reading - hope you enjoyed! Fascinated with all the prints.... 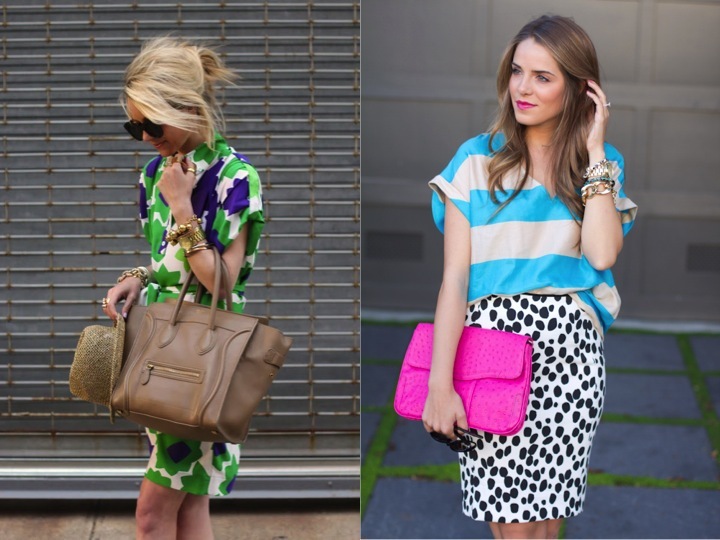 These are the best print outfits ever! amazing choices of photos :) beautiful! Love this round up girl! Thanks for introing me to new blogs! ah those bold stripe shorts!! Me encantan los estampados de rayas, los colores flúor y los collares llamativos!!! nice blog thanks for sharing!!! I love these trends especially the neon colors! 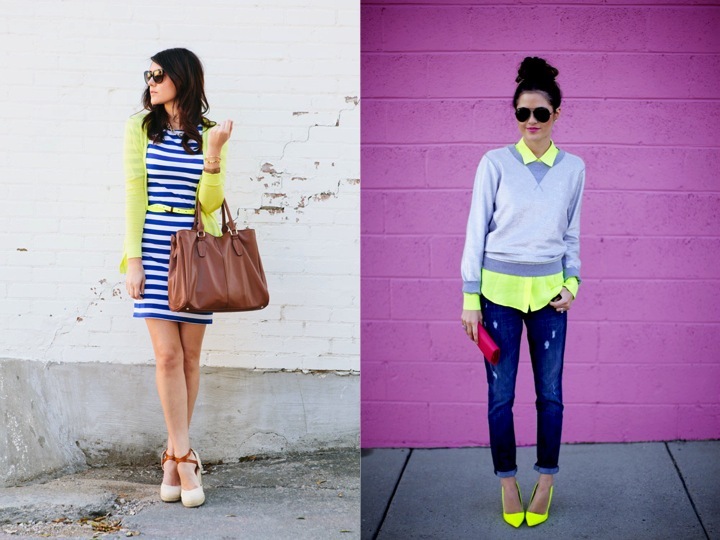 Neon is my fav trend for this season! adore!Dear, International Love giveaway is on my blog! Win a dress of your choice! Be pretty! Girl! This post is so awesome in soo many ways! 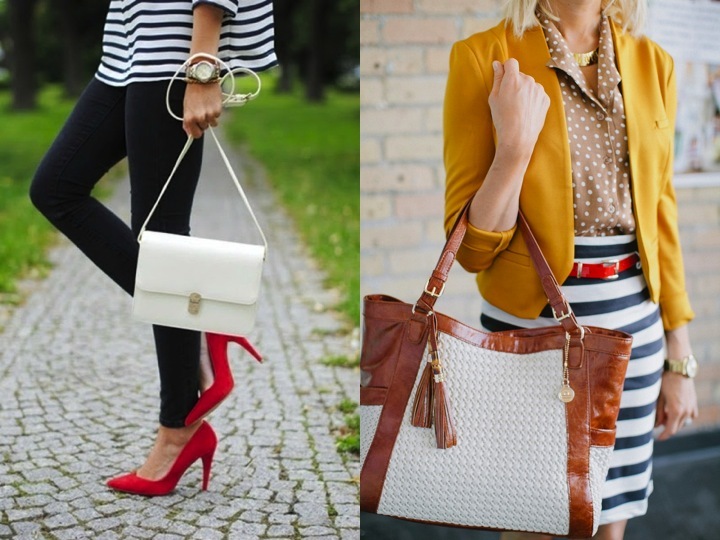 You captured all of my favorite spring trends in one post! I love everything!! I'm currently loving bright lips which is a huge first for me , great post love all the trends you listed would love to experiment with the idea. this is really useful for spring!great post! I'm definitely for every single one of these trends too. Especially the bold lipstick! I'm loving ALL of these trends for spring. 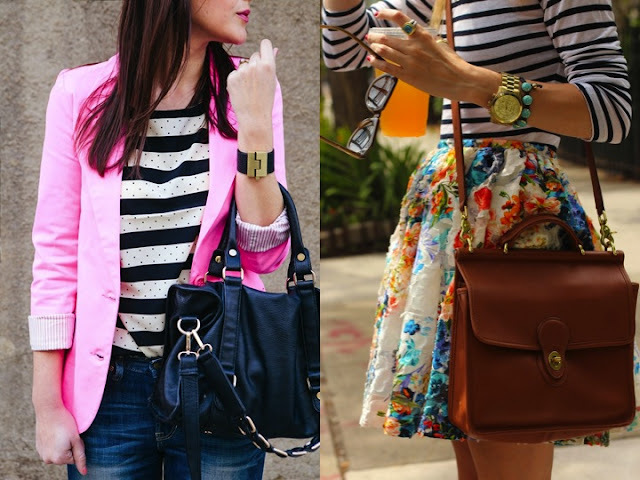 I'd have to say my favorites are neon, bold prints and stripes. Great inspiration! Love all of these trends- especially bold lips!